Mark Tharp is the Chief Executive Officer of Tharp and Associates, Inc.
Mr. Tharp is an insurance executive who has spent his entire professional career in the insurance industry, with an emphasis in troubled insurance company situations. Mr. Tharp has served as court-appointed Special Deputy Receiver/Assistant Receiver for forty troubled insurance companies. Mr. Tharp is a Certified Insurance Receiver, Multiple Lines, a designation conferred by the International Association of Insurance Receivers (through the NAIC) in recognition of a high level of achievement and competence in managing court-appointed receiverships of troubled insurance companies, successful completion of training, continuing education, professional accomplishments and adherence to high professional standards. 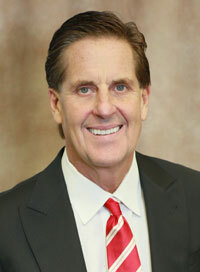 Mr. Tharp currently serves as Assistant Receiver for Park Avenue Property & Casualty Insurance Company and Imperial Casualty and Indemnity Company, both Oklahoma domiciled large deductible workers compensation writers of Professional Employer Organizations, domiciled in twenty-eight and forty-seven states, respectively. In 2004, Mr. Tharp formulated and implemented a court-approved rehabilitation plan for Arizona domiciled (and widely licensed) Old West Annuity & Life Insurance Company. As a result of the successful rehabilitation plan, finalized in 2006, this complex transaction was consummated without activation of the state guaranty system and placed all of the annuity contract holders in safe harbor with one of the largest insurance holding company systems in the world. During Special Deputy Receiver engagements, Mr. Tharp is primarily responsible for all aspects of the affairs of the insolvent insurer, including day-to-day administration and management, forensic accounting, financial statement preparation, complex litigation, interface and coordination with state guaranty associations, marshalling assets (He has recovered billions of dollars), quantifying liabilities through a proof of claim process and coordinating the legal, actuarial, operational and reinsurance aspects of the receivership. Mr. Tharp has received several special commendations over the years from the Arizona Department of Insurance for his work on Arizona domiciled troubled insurers. Mr. Tharp is frequently engaged as an expert witness in other complex litigation around the country, primarily in conjunction with troubled insurance companies. Mr. Tharp is a frequent speaker and presenter. Truitte Todd serves as Chief Financial Officer for Tharp and Associates. 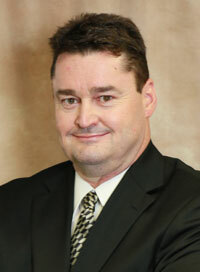 As CFO, Mr. Todd is responsible for all financial reporting with respect to insurance companies managed by Tharp. Mr. Todd has an extensive background in the insurance industry, with a concentration in the financial area including forensic accounting, financial modeling, financial statement preparation, reinsurance collections, commutations and negotiations, as well as litigation support and damages calculations. Mr. Todd was appointed in 2011 by the Arizona Department of Insurance as Supervisor of PMI Mortgage Insurance Co. (“PMI”) and its direct wholly-owned subsidiary, PMI Insurance Co. Both companies are Arizona domiciled insurers and hold certificates of authority to transact mortgage guaranty insurance. On March 14, 2012 PMI was placed in rehabilitation by the Arizona Superior Court and Mr. Todd was appointed as the Special Deputy Receiver. Mr. Todd also serves as court-appointed Special Deputy Receiver and fiduciary for several insolvent risk retention groups and captive insurers. In this role, Mr. Todd is responsible for all aspects of the affairs of each insolvent estate, including day-to-day administration and management, financial statement preparation, litigation, liability quantification and marshalling assets. Mr. Todd is also currently engaged as a reinsurance expert, directly responsible for nearly $75 million of reinsurance ceded recoveries. In addition to his financial expertise, Mr. Todd has direct responsibility for Tharp’s financial and compliance examination practice, for which he has developed a proprietary technique for examinations focusing on timely pay and grievance statutes. In more than two dozen engagements, Mr. Todd has been senior staff to the court-appointed fiduciary for insurers that become insolvent and are placed in court-supervised receivership proceedings. Insolvencies have included life, annuity, accident and health, property and casualty, and risk retention groups, as well as heath care services organizations and health benefit plans. Mr. Todd played a vital role in the events that preceded the special commendation received in March 2006 by the Arizona Department of Insurance for recognition of outstanding efforts in the successful rehabilitation of Old West Annuity & Life Insurance Company. Mr. Todd also provides forensic accounting and litigation support services for expert witness engagements and serves as a consultant on matters of financial and damage analysis, reinsurance collection, commutation and negotiations. In this latter capacity, Mr. Todd has been instrumental in the collection of hundreds of millions of dollars in reinsurance ceded recoveries for estate administrators. Mr. Todd earned a B.S. in accounting from the University of Phoenix. He is a member of the International Association of Insurance Receivers and the NAIC Uniform Data Standards Working Group. 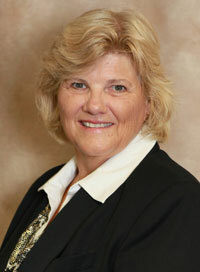 Kristine Williams serves as Chief Operating Officer for Tharp and Associates. Ms. Williams is astute in estate administration, coordination with state guaranty associations and regulatory agencies, insurance company operations, litigation support and project management. As a veteran of the insurance industry, her professional experience includes progressively responsible management positions in managing claims, customer service, new business and policy issue departments, as well as executive level administration and compliance for life, annuity and accident and health companies. In more than two dozen engagements as COO and project manager for Tharp and Associates, Ms. Williams has been senior staff to the court-appointed fiduciary for insurers which become insolvent and are placed in court-supervised receivership proceedings. In this capacity, her responsibilities have included oversight of all operational areas of the insurance companies, management of claims, policy, and customer service departments, implementation and coordination of the proof of claim process and subsequent recommendations to the courts, management of administrative and legal aspects of the receivership proceedings including liaison with multiple guaranty associations, as well as research and investigation with an emphasis on examinations and forensic accounting. In addition, she provides due diligence and testimony on a variety of litigation engagements. In the position of senior staff to the court-appointed fiduciary, Ms. Williams demonstrates her abilities to manage staff in all departments of the companies and estates, given her strong interpersonal and communications skills and her skill in effective team leadership techniques. In addition, her mastery of project management and critical task identification are key in day-to-day estate administration as well as the overall liquidation process. Her ability to communicate effectively and interface with state guaranty associations has been instrumental in the transition of claims to the affected guaranty associations and the ongoing support required by these associations. Ms. Williams plays a key role in the estates’ proof of claims processes and is instrumental in establishing processing guidelines, coordinating, reviewing and submitting recommendations to the receivership courts. As part of the claims process, Ms. Williams has overseen the distribution of more than $100 million to claimants. Ms. Williams has also been appointed as Supervisor by the Arizona Department of Insurance on multiple occasions. Ms. Williams’ educational and professional background is extensive. She is a Fellow of the Life Management Institute (FLMI); an Associate, Insurance Regulatory Compliance (AIRC); an Associate, Financial Services Institute (AFSI) and an Accredited Insurance Examiner (AIE). She maintains memberships in the International Association of Insurance Receivers, the Association of Insurance Compliance Professionals, the Insurance Regulatory Examiners Society and the Association of Life and Health Administrators. Ms. Williams earned a Bachelor of Science degree in education and a Masters in Business Administration with human resource certification. Ms. Williams is a Certified Insurance Receiver, Multiple Lines, a designation conferred by the International Association of Insurance Receivers (through the NAIC) in recognition of a high level of achievement and competence in managing court-appointed receiverships of troubled insurance companies, successful completion of training, continuing education, professional accomplishments and adherence to high professional standards. “Insolvencies, the Darker Side of Insurance”; Association of Life and Health Administrators; Dallas, Texas. “What is Claim Deval-Reval”; Insurance Regulatory Examiners Society; Denver, Colorado. “Professional Employer Organizations“; National Conference of Insurance Guaranty Funds; San Francisco, California. “Professional Employer Organizations“; National Conference of Insurance Guaranty Funds Managers Meeting; Fort Lauderdale, Florida. In recognition and appreciation of extraordinary service to the Receiver and creditors of Farm and Home Life Insurance Company, to the Arizona Director of Insurance, and to the people of Arizona, this department of Insurance Special Commendation is awarded to Mark D. Tharp.